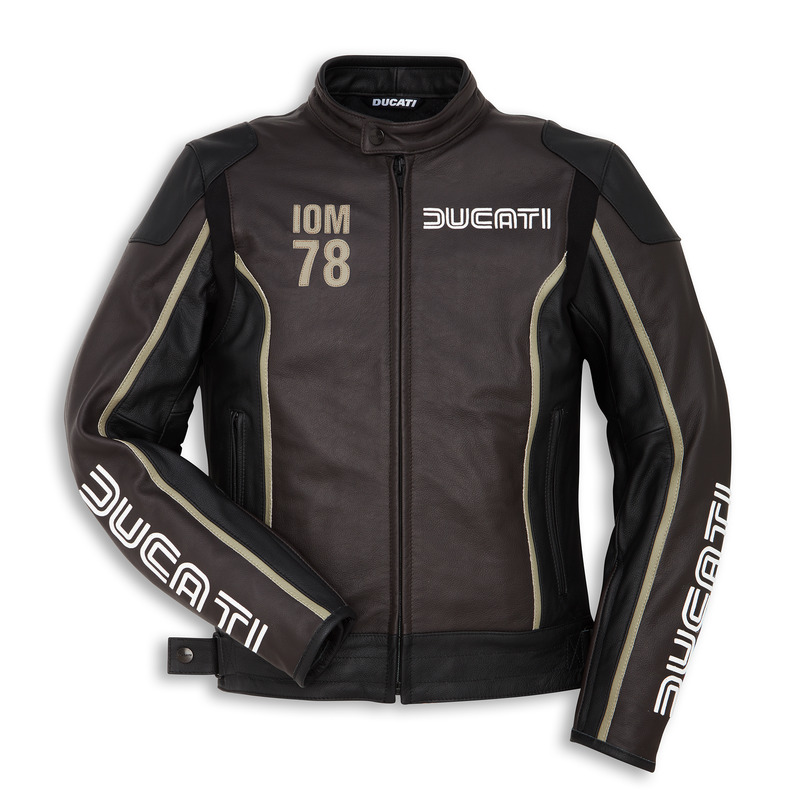 The IOM C1 jacket, inspired by the Ducati 900 Super Sport livery that on 2 June 1978 won the Tourist Trophy at the Isle of Man, revisits the past in a contemporary way. 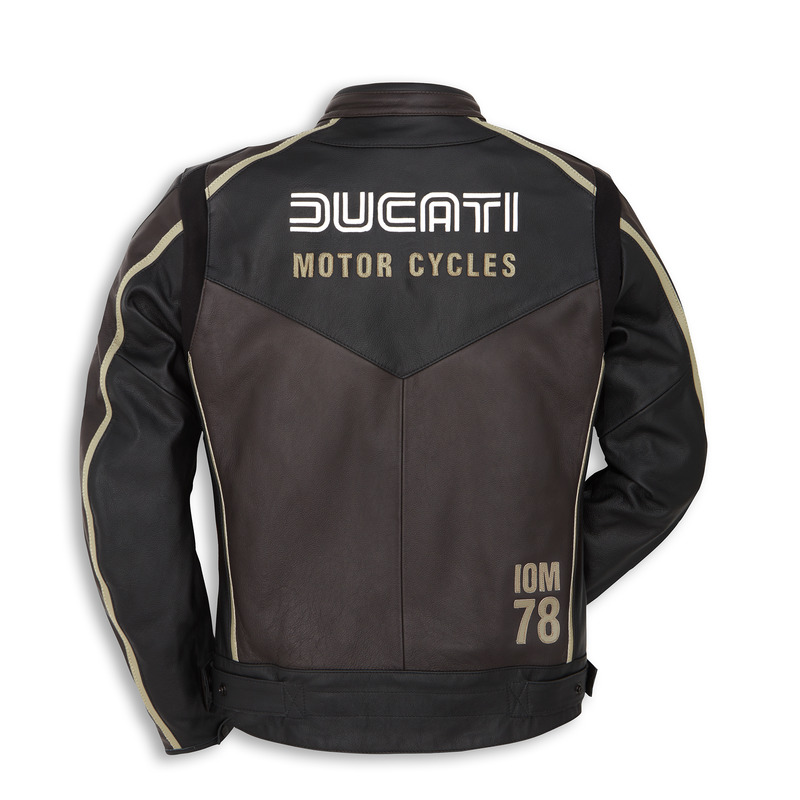 The iconic design made by Drudi Performance is enhanced by barrel-dyed cowhide leather that has been re-tanned to give it a pleasant touch and to raise its level of performance. 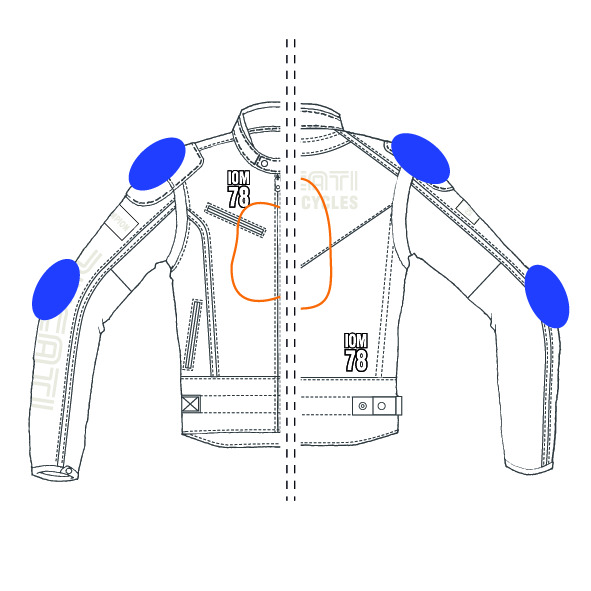 The Pro Armor soft protectors, the pocket for the back protector, the breathable inner liner and the waist zip that can be attached to all trousers in the collection complete the technical design of this CE-certified jacket available in men's and women's versions.